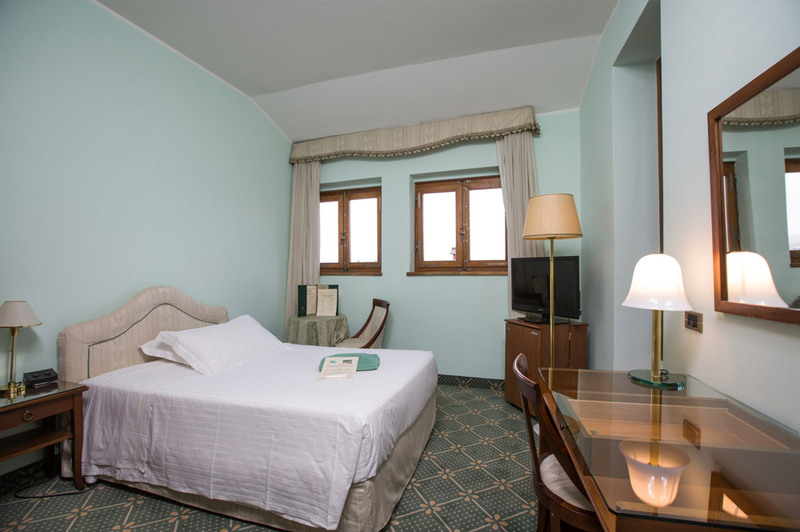 We always guarantee the Best Conditions: we are not a call center. 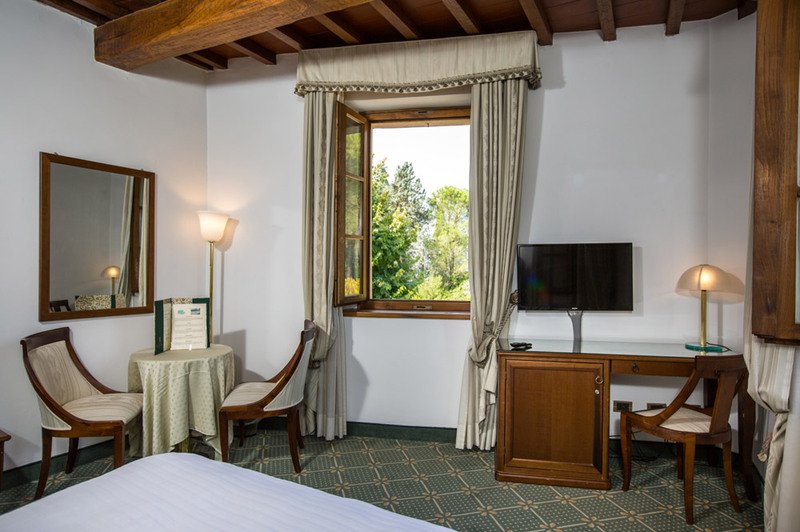 Free Upgrade, upon availability, with absolute precedence to your direct booking. 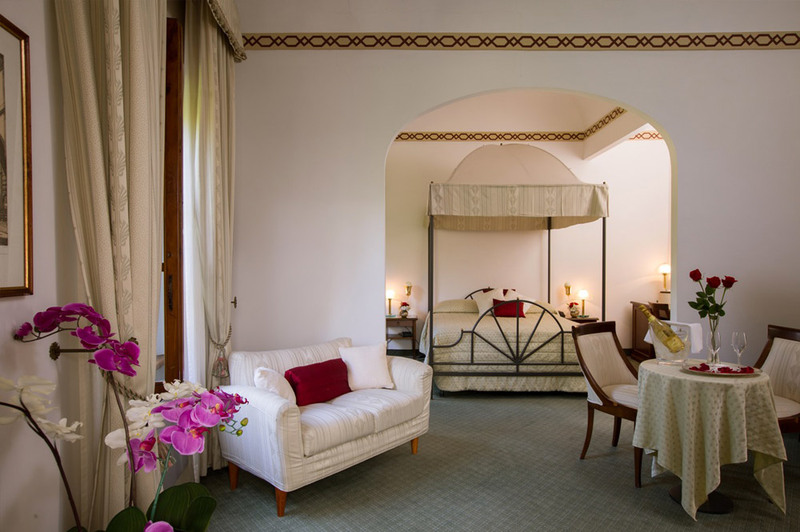 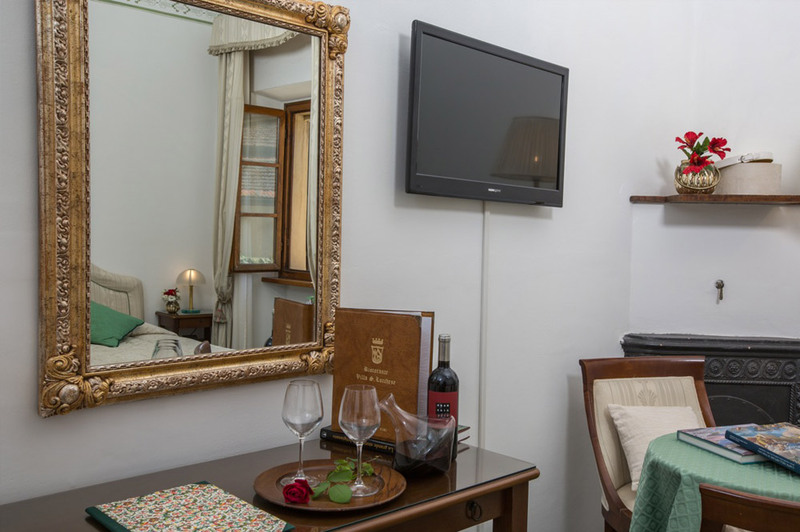 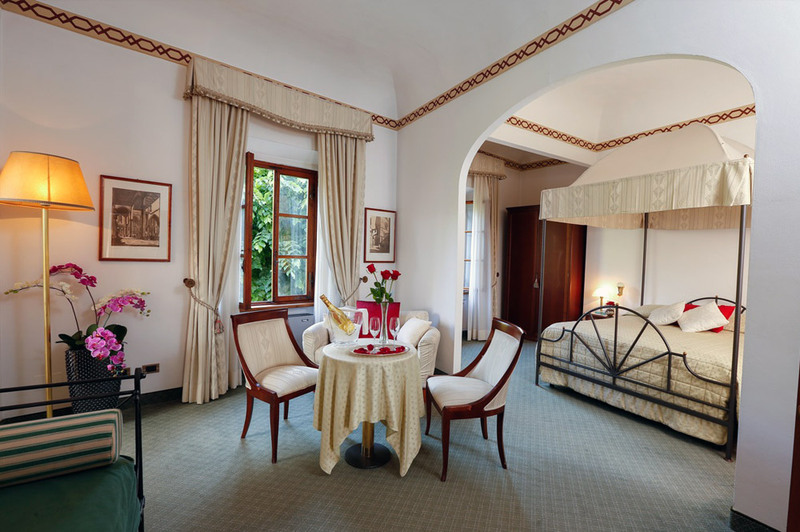 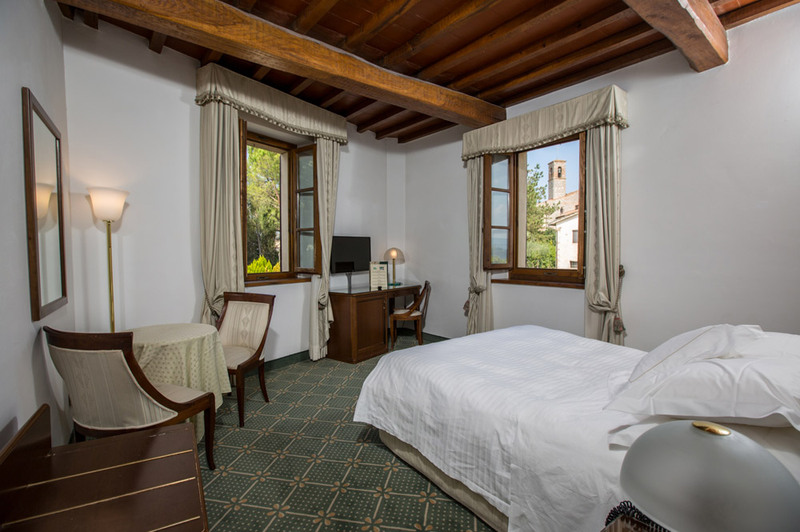 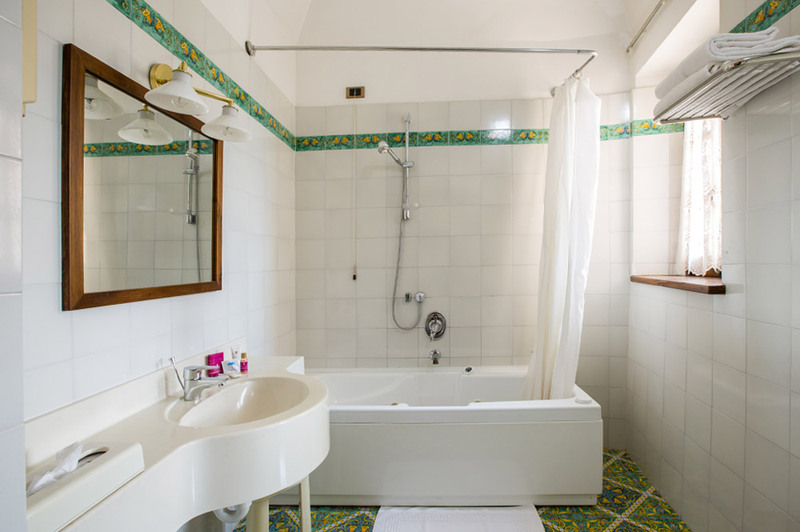 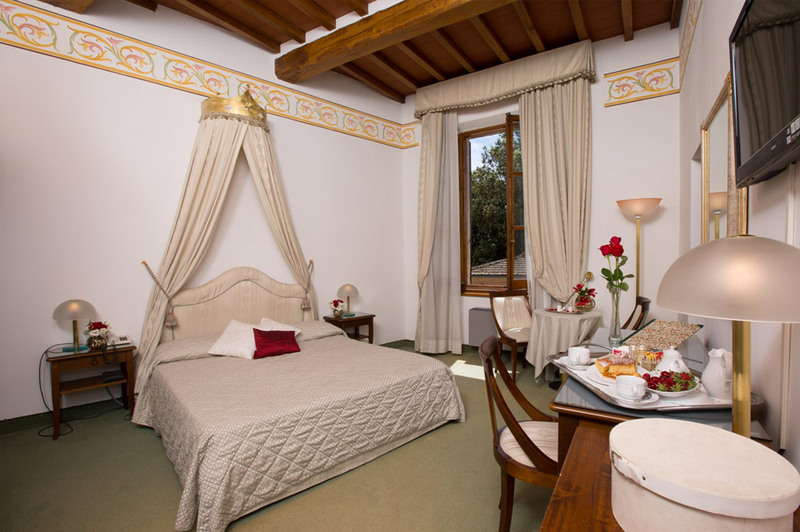 Hotel Villa San Lucchese has 2 suites and 35 rooms of different types with classic Italian furniture and decor reflecting the refined and elegant atmosphere. 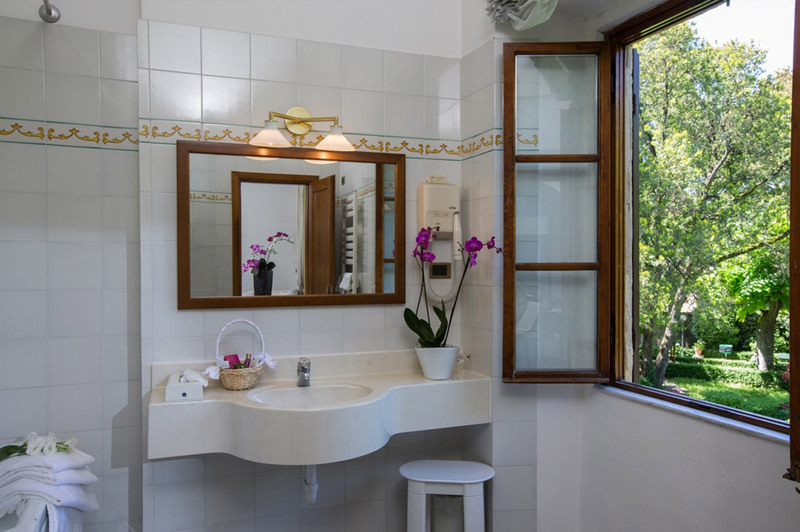 The tranquility of the place together with the high standard of amenities offered will ensure that you feel relaxed and really enjoy your stay. 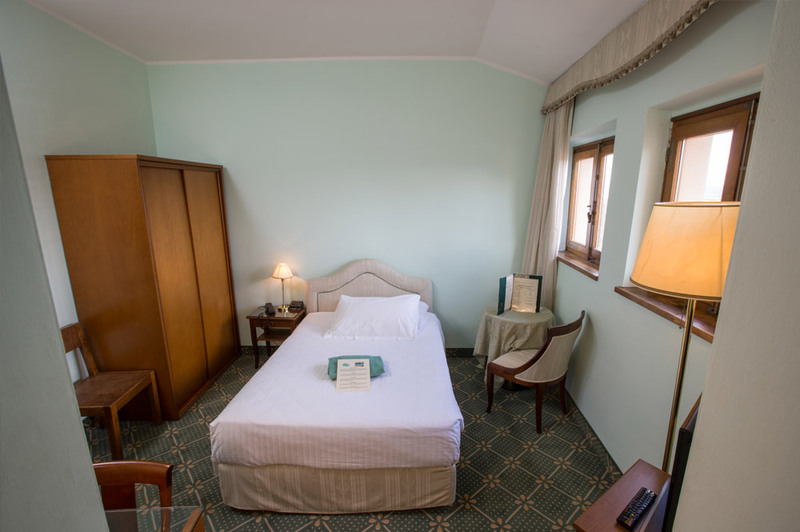 Our rooms are equipped with the following amenities: telephone, satellite TV, free Wi-Fi, air conditioning, mini-bar, safe. 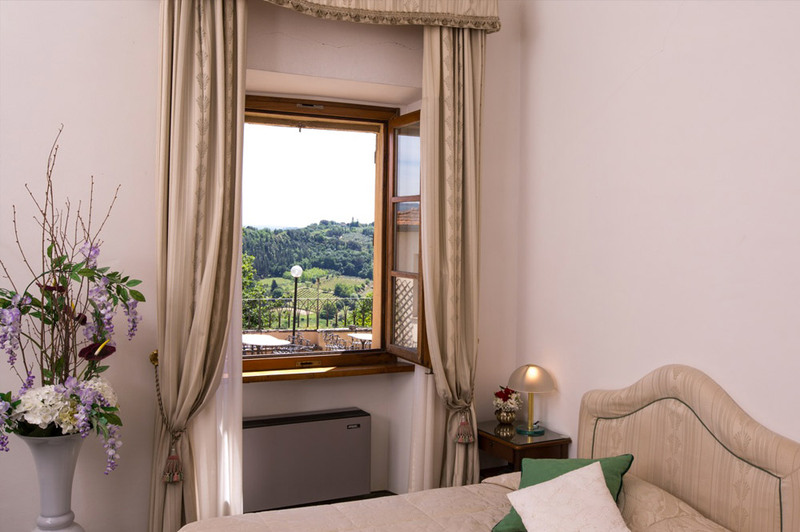 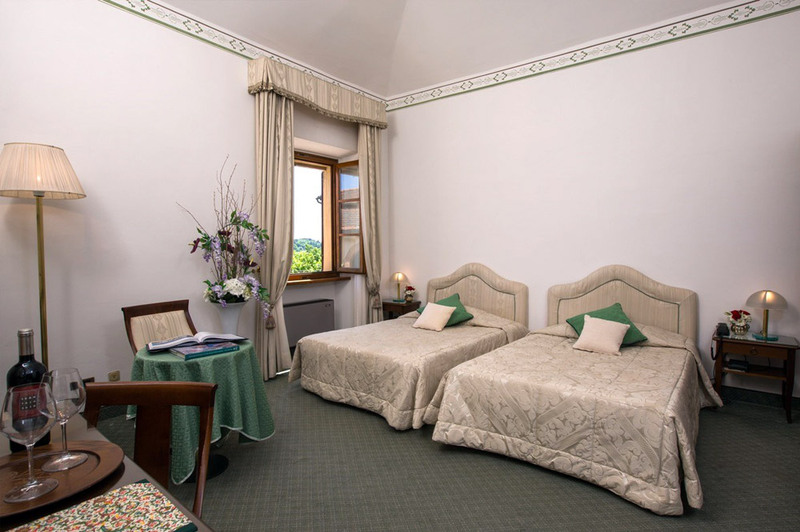 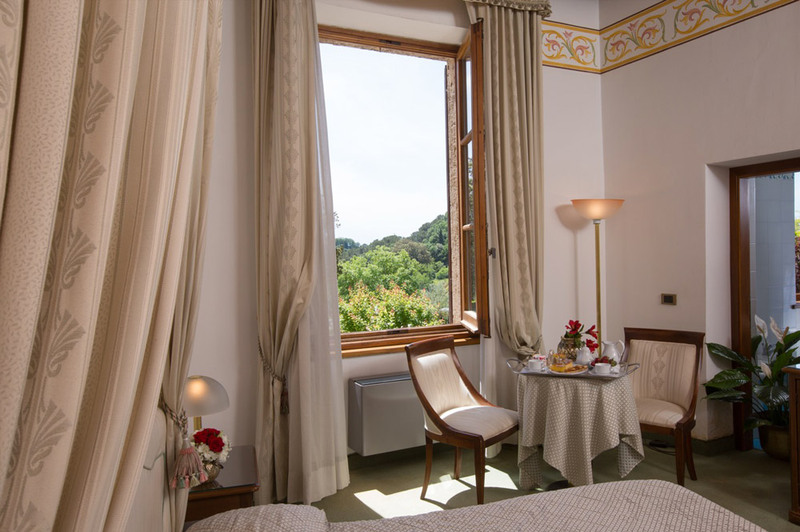 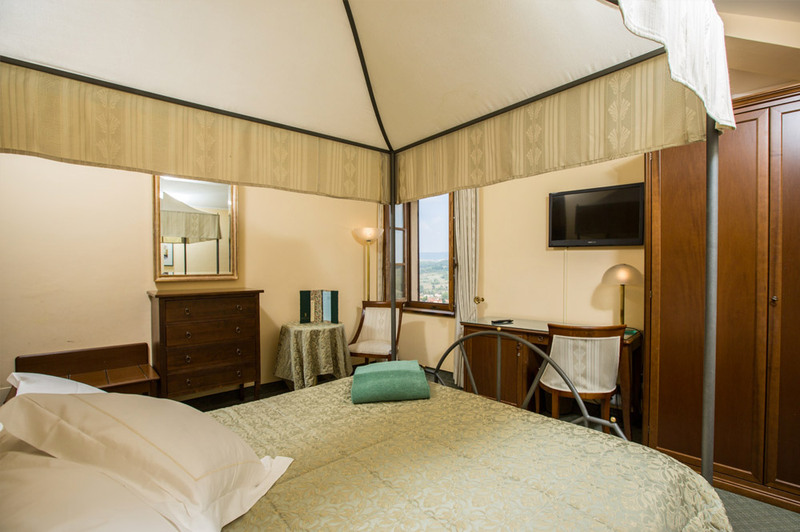 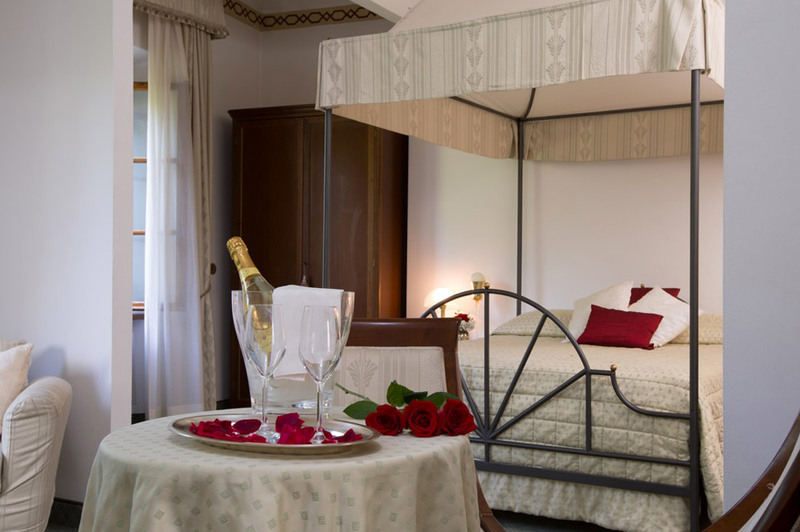 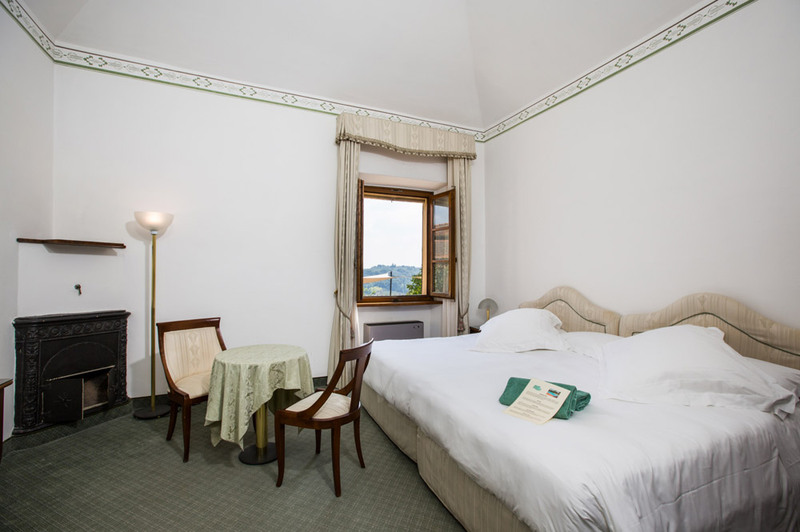 Hotel rooms also offer spectacular panoramic views over the Italian garden or the surrounding hills so one can always enjoy the atmosphere of the Tuscan countryside. 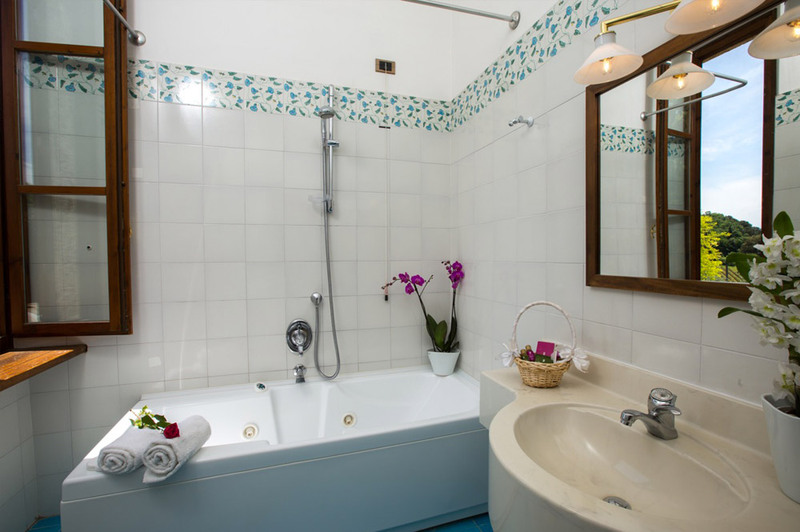 Room with a double bed, bathroom with shower for 2 adults. 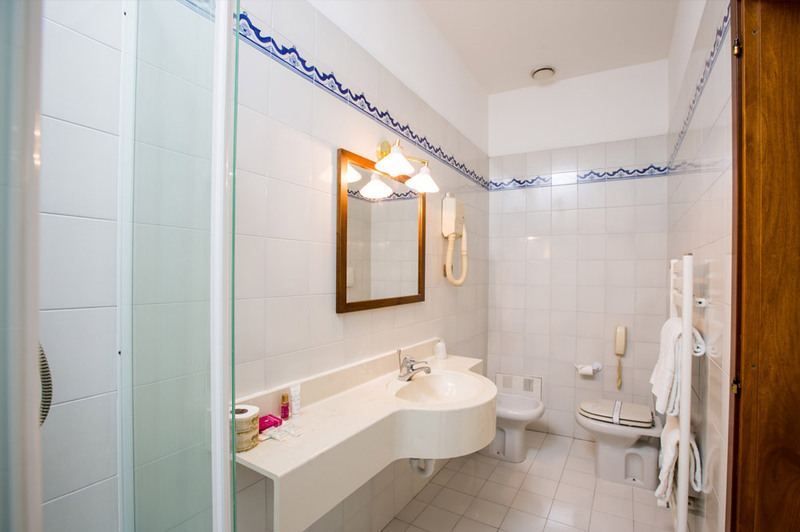 Large room with double bed and 1 added single bed and baby cot, private bathroom with 1 person jacuzzi hot tub. 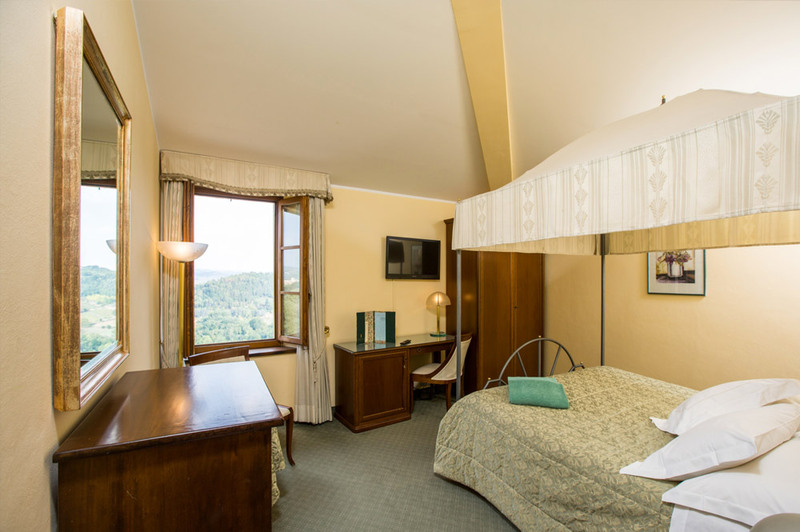 Room ideal for families, a double bed and a French size bed (130 cm), ideal for 2 adults and 2 children, private bathroom with bath or shower. 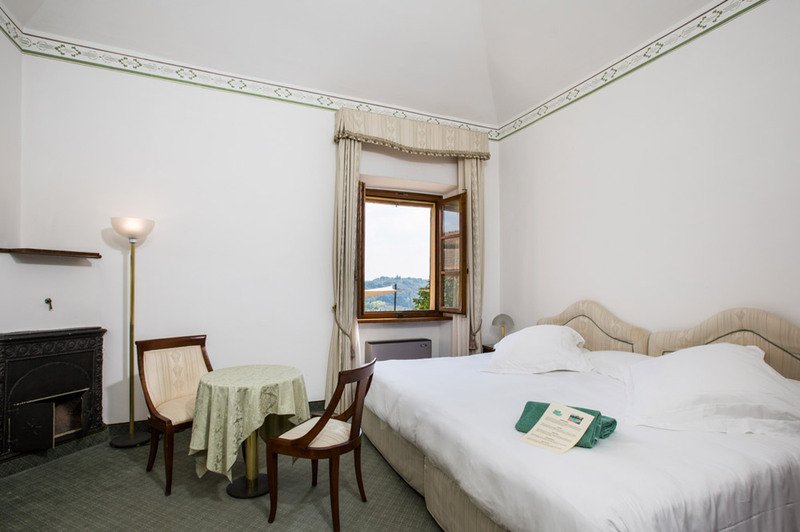 Big and very comfortable room, with a Super-size Bed, large 260 cm and long 200 cm or, on request, with 2 french size beds (130 cm large), private bathroom with bath or shower. 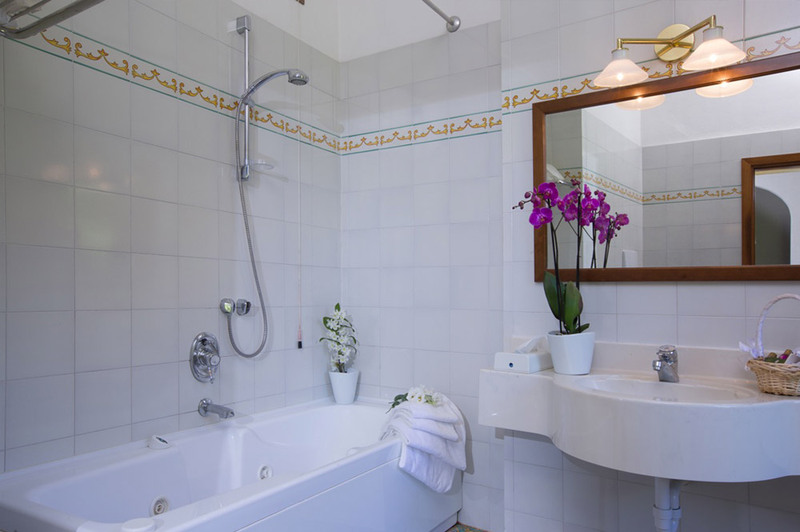 2 elegant suites with bedroom, canopy bed, or crown bed, coffered ceiling, living room with armchairs and a private bathroom with 1 person jacuzzi hot tub.